I’ve worked with Ash on the website for our charity over a four year period and I have been more than happy with the service he has provided. He has been a delight to work with: always responsive, friendly and highly efficient. Even when given ludicrously short deadlines to provide important website information, Ash has responded immediately and provided us with the data we need. I cannot recommend him highly enough. A trusted colleague recommended ‘Wire up Wales’ to help me with my motoring magazine website, and I am so pleased that he did. Ash worked tirelessly (and, at times, beyond the call of duty) to set up, from scratch, a rejuvenated website using a software system that I had not previously worked with. He then comprehensively guided me through the process of operating the system to best effect, also transferring/saving all the articles from my original site. His knowledge, professionalism and dedication, combined with a helpful, patient and friendly approach made the whole process much easier and more enjoyable than I had dared to imagine. I was grateful for Ash’s help, including various explanatory telephone conversations, and also found that his written instruction manual, incorporating relevant screenshots, was extremely helpful when trying to learn a software system with which I was unfamiliar. We couldn’t thank Ash Whitney enough for his work and efforts with our website. From start to finish even after the website was completed, Ash checked in to make sure everything was running as it should. Ash is very professional and friendly in his approach and very creative with his ideas as we didn’t give him much information in terms of the design to work from. We are very pleased with our website and would certainly recommend him and his expertise to anyone looking for a professional and user friendly website. I have been using Ash from Wired up Wales as a major support for my e-commerce operation ever since I set up Linkwordlanguages.com as an Internet company in September 2002. Ash has assumed more and more responsibility for the operation to the extent that he deals with most of the aspects of running the site. Ash has designed the original site, implemented it, seen to the basket aspect of the site, and continually developed and improved the site. It should be said that the Linkword site is arguably the most successful language course site in the UK as evidenced by the fact that it is either top or second top for the great majority of keyword display ads relevant to language courses on Google. Ash has also been responsible for selecting servers and backup processors, and mirror sites to ensure that whatever goes wrong the Linkword operation keeps running. In addition to all this Ash is responsible for disk copying and order dispatching, and also plays a vital role in development work and marketing. Ash has also been responsible for suggesting and setting up and managing our eBay operation, which has again been a successful addition to our marketing strategy. Indeed, in addition to running so many parts of our operation Ash has continually given valued advice on a range of issues in relation to the running of the site. All in all, Ash has been a joy to work with and I count myself extremely lucky to have had Ash’s guidance and help since our inception. Not the least Ash has been sympathetic and sensitive in dealing not only with us, but with customers who from time to time need to contact him over technical and other matters. I have no hesitation in VERY STRONGLY recommending Ash to anyone thinking about developing an e commerce operation. I can confirm that Ash Whitney of Wired up Wales provided us with an extremely effective CD-ROM (disk 2) to accompany the six languages in our “Instant Recall” series. I found his design to be both aesthetically pleasing and to function in a highly effective manner. In addition, the work was completed on a very short schedule. I have no hesitation in strongly recommending Ash as someone who carries out very high quality work. I have worked with Ash over more than 15 years. He has helped me develop and maintain five different websites over that time – most recently two WordPress based sites for The Butler Trust. Ash is technically highly knowledgable and skilled, but what has always impressed me most is his professionalism and dedication to getting the job done and doing it properly – if only everyone had the same approach. I have also recommended Ash to a number of colleagues from other organisations and I know they have been equally impressed by him. Ash of Wired up Wales has improved my web-site enormously. He brings to his work very high technical and professional standards and I would strongly recommend him to anyone wishing to have an attractive and accessible web-site. If you want to make all the right connections with your clients, customers, or consumers then WiredUp Wales is a good choice thanks to the knowledge and professional skill of Ash Whitney, who has been a tremendous help to us as we move forward in our business plan to develop the best motoring website for and about Wales and its people. As a Theatre Director, my IT skills are not good, so planning and creating a web site promised to be a nightmare. Working with Ash of Wired up Wales proved to be the opposite. It was creative, professional and really enjoyable. I would like to thank Ash at Wired up Wales who has worked on my website for doing a great job, The site looks awesome and I am very impressed with the service and the continuous updates I received throughout this project. I know this is what his company does, but Ash you have made this a stress free and easy task. My hat is off to all of you for the great job. I would and will recommend your company to anyone I know looking to have a web site built. The work was efficient and very reasonable compared to the great end product produced. Thank you. I was delighted with the way our website www.glycosmedia.com turned out, the design and functionality is great. The service and turnaround was first rate and look forwards to a long relationship with Ash of Wired up Wales. From start to finish it has been a pleasure working with Ash. At all stages of the development of our website I felt that I was in capable hands. Because he took care of everything – including domain name registration and server hosting – I found that I could concentrate on the positive aspects of building a new website. The final look of the website was professional, aesthetically pleasing and very functional. Ash built in all the facilities we requested and where appropriate he suggested refinements that improved functionality. The ease of the communications between us during the build ensured that the resulting product surpassed our expectations. The contract to build the Glycosmedia website www.glycosmedia.com was completed in good time and at a price that was unbeatable for such professional work. At the end of the build Ash talked me through every aspect of the functioning of the website, and this was done in a professional, sympathetic and painless way. I unreservedly recommend Ash of ‘Wired up Wales’ for all your website needs. Ash built and hosts the website of the recently formed International Society for the Study of Drug Policy (ISSDP). His advice on website design and functionality was simply superb. The result is a now widely praised user friendly site that is sleek, stylish and easy to navigate. Ash’s work ethic also meant that the task was completed in a remarkably short timeframe. His hosting services are of a similarly high caliber, with alterations and additions to the site actioned with the necessary haste. If you are looking for a no nonsense web designer who produces the goods fast and efficiently, look no further. Collaborating with Ash has been a real creative venture. His service has proved both efficient and helpful in what initially seemed, for me, a daunting task. My website can now very easily be updated with just a few clicks. As a new business, looking for the best possible start I wanted to get everything looking as professional as I could. Ash of Wired up Wales was recommended to me by a friend, and I wasn’t disappointed. Ash was excellent right from the start, he asked me if there was anything I would like to see on the website and what colours I liked. Ash did the rest, and what a fantastic job he did. The website was just what I was looking for, it looks really professional, and I was getting enquiries and work through it within a few days. After seeing what good a job Ash done on the website, I asked if he would help me design my business cards and flyers, and again the finished product was excellent. Ash also designed a Facebook page and a link for potential customers to contact me by email, and all at a competitive price. I can’t thank Ash enough for all his hard work, he has certainly give me the best possible start that I could have hoped for, and would recommend Ash to anyone starting a business, and looking to promote their company in the best possible way. I contacted Ash at Wired Up Wales because I had seen his designs for other training organisations, and was impressed by their clarity and usability. He has put together an excellent website for me, and has been really approachable throughout the design process, patiently explaining options and suggesting improvements. I would have no hesitation at all in recommending Wiredupwales to anyone considering a new or upgraded website. We have received exceptional service from Wired Up Wales, both in terms of quality and efficiency. It is always a pleasure to work with Ash; the experience he brings to implementing our IT strategy and digital presence is invaluable, and our organisation has benefited from vastly improved online communication which is contemporary, accessible and easily managed. Having seen other Websites designed by Ash Whitney, the Choir Committee were keen to ask Ash whether he could do the same for our Choir website, which needed a new facelift and more eye-catching design. Ash was only too happy to meet our request, and he explained beforehand what input and information he would need from us and set out the exact cost, which was within a very reasonable budget. In less than a week he had redesigned the entire site to the colour scheme we wanted, and given it a whole new look. It is now clearly set out, easy to navigate and has a vibrant and attractive appearance. We are delighted with the results and Ash was more than helpful throughout the whole process. Thank-you for your excellent work, Ash. We will certainly recommend you to others in the future. We are very happy and grateful to Ash for the website he built for WGCADA Ltd. We get compliments on a regular basis for the look, feel and layout of the website and its continually getting better with the amount of updating and improvements Ash performs for us on a regular basis. Ash is very customer focused and dedicated to ensure that the website he builds for his customers are the best they can be. Further to this Ash also hosts our website. We would recommend Wired up Wales for any organisation, private, public or commercial, large or small. Thank you Ash. We commissioned Ash to build our new Mount Pleasant School Farm website. He was very helpful, quick to respond, easy to deal with and understand, and made the whole process straightforward and stress free. An excellent service. I approached Ash at ‘Wired Up Wales’ to design me a ‘clean’ ‘fresh’ ‘portfolio type’ website. The majority of our business is not generated via the existing website we had in place and albeit 90% of the work we do is on reputation, we wanted to show case the works that we have completed for local contracts purposes and business that comes into the area from outside of the area, for example…… companies that come from England and completed larger scale projects. The website Ash designed was everything we wanted and more. With us being able to demonstrate what we have and what we completed, we have secured contracts and larger scale projects. Ash listened to what we wanted and done an excellent job. We will be using Ash on further projects in the future. Excellent turnaround time for my websites and at a reasonable price. Delivered the brief accurately and good communication in making a number of changes upon review. Would recommended – thanks. Ash, of Wired up Wales, has set up sites for Seven Sisters and for Onllwyn Community Councils for which I am employed as Clerk. He was recommended to me by both the DOVE Workshop and the Dulais Valley Partnership. I have found Ash to be most professional, easy to deal with and helpful. I find the sites simple to update and the one problem I had was very quickly sorted out. 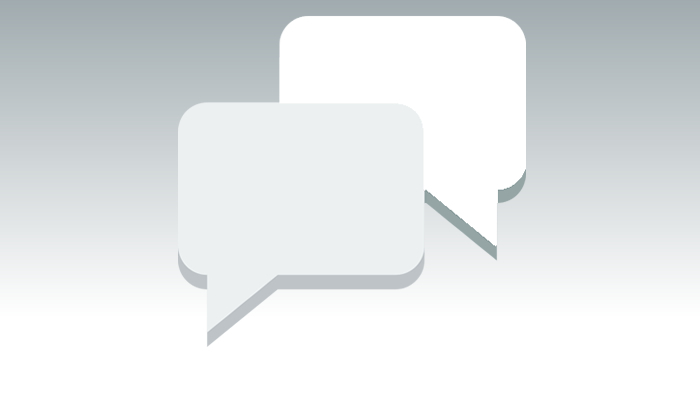 I would recommend Ash as the service he provides is excellent and is at a reasonable cost. I took up the post of Clerk to a Community Council – Crynant Community Council – last July. 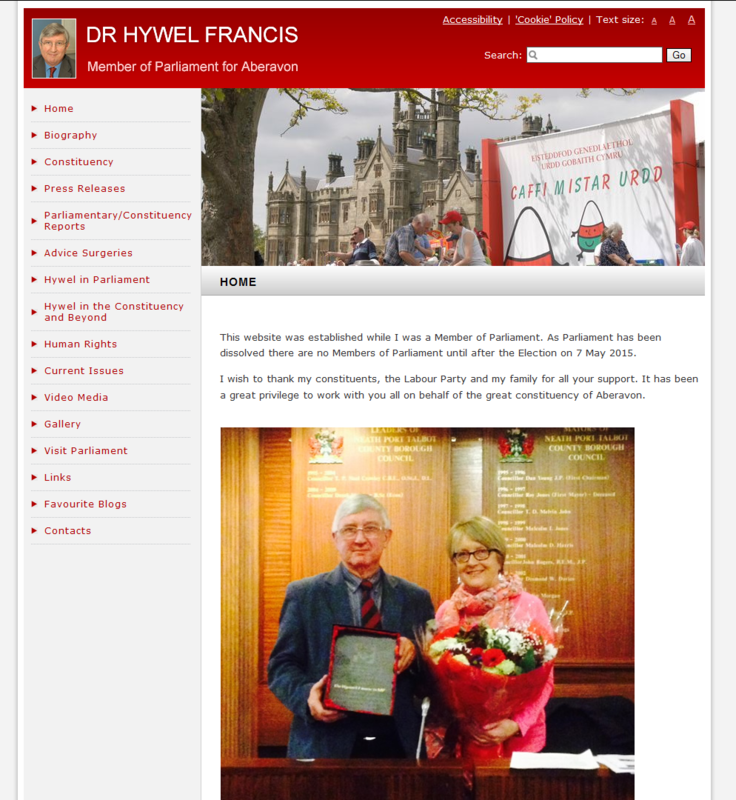 The Council did not have a website at the time of my appointment but within a few weeks I received correspondence from the local Borough Council, on behalf of the Welsh Government in Cardiff who wanted all community councils to establish their own websites. Not knowing how to start such a project I was recommended by a member of another Community Council to contact Ash Witney of Wired up Wales. I subsequently arranged a meeting with Ash and he provided initially a guidance on how to establish a website and to use it as a facility which can provide a link between the Community Council and the community that it serves. I am very grateful for the way in which Ash has made it easy and understandable to use the website in a relatively short period and Ash is always available to assist when any problems do arise. I would certainly recommend Ash to anyone, especially those, like myself, who are relatively new to the management of websites. Ash helped us enormously with designing and producing a website for our newly formed company. His knowledge and expertise was invaluable, and saved us a great deal of time and worry with both the format and operation of the site. However, his invaluable assistance didn’t stop there as he has continued to provide us with advice and guidance regarding the website and how it can best be used to promote our business. Quite simply, he has been superb in all that he provided to Essential Psychology Ltd and we look forward to continuing to work with him. Wired up Wales delivered a service that was professional and prompt. The high quality work and advice transformed my business website tenfold. The business link I have with Wired up Wales is essential to growth and success of Tin Hut Tales Publishers and UK Arts Directory. Ash was recommended to me by someone who had already benefited from his services, and on contacting him, he was immediately helpful and supportive. He was able to communicate with me in a clear, jargon-free way, as I am not especially IT conversant. He took the whole matter onto his own shoulders, and all I needed to do was give him the information for my website. I was able to follow the site as it was being designed and advise him of any adjustments I wanted made, which he invariably actioned that same day. He was always prompt in his reply to any queries I had, and the whole process was made simple and stress free. I wouldn’t hesitate in recommending him to anyone who is looking to set up their own website and raise the profile of their business. Thank-you Ash for all your help and support! The service I have received from Ash at Wired Up Wales has been excellent. I needed a quick turn around on a new website and he fulfilled the brief perfectly, delivering to a tight deadline and on budget. What’s more Ash explains things in a jargon free way, making it easy to understand for those less familiar with the world of IT. I certainly recommend Wired Up Wales to anyone looking for web design, and I will be using the services again in the future. We have worked with Ash Whitney and Wired up Wales for over eight years. In this time we have received nothing but first class service and every project has been delivered on time, under budget, and often with enhancements not specified in the original brief. In addition Ash has provided fantastic ongoing support on both a technical level and in a user friendly format for non IT specialists. I would have no hesitation to recommend Wired up Wales, and am happy to answer any questions regarding their service. I am writing to thank you for the recent work you carried out in designing and setting up a website for the consortium of Welsh substance misuse charities DACW. We are extremely grateful, not only for the quality of work in producing the excellent site and related content but also for the high level of professional support, aftercare, thought and in depth knowledge that you brought to the project. It has been a pleasure to work with you and we are extremely grateful for making the somewhat intimidating task of setting up a website so practical and straightforward for the members of the consortium. Wired up Wales has undertaken web design work with WGCADA in the past and again, the quality and standard of this work has been outstanding and our staff have found it a pleasure to work with you Ash and have indeed learnt and progressed themselves as a result of your help and advice. I would have absolutely no hesitation in recommending Wired up Wales for any web design work. I first started working with Ash Whitney in the year 2000 when he built the first version of the drug and alcohol news portal Daily Dose for me. Over the following years, Daily Dose became the leading news portal in this field. Ash played a major role in this success and built various versions of the website and other websites. We had a very rewarding, mutually beneficial collaboration before Daily Dose finally closed due to lack of funding. Ash and I recently started working together again when he built my new website, Recovery Stories. I was quickly reminded what a special experience it is working with Ash. He has a great visual eye and builds websites with excellent functionality. We work closely together – I am very much into web usability – and our collaboration is enjoyable and fruitful. Ash always has good ideas, believes in high standards, and goes the extra mile to make something special. His prices are also very reasonable and he has always worked fast. I provide the strongest possible recommendation for Ash Whitney as a website developer. DANSA Limited are delighted with their new improved website, Wired Up Wales offers advice, guidance and support which is inspirational. I have had websites in the past that had cost me thousands to not only set up but the yearly hosting fees. I felt I was not getting value for money and needed to find someone ‘local’ who could do a great website, bold, informative and got found easily on Google. The services I offer it more depends on you being found as opposed to you finding them. I spoke to Ash @ Wired Wales, he put a proposal to me that was very competitive and we rolled with it. The site Ash completed was Excellent and with built in SEO’s and Keywords within the site itself, the site ranks very high when searching for the specific service. Whenever I have wanted minor tweaks, Ash has been happy to change them for me. I have now commissioned Wired Wales to complete another site for me. The DVP has known and worked with Ash on a variety of our projects and when we decided to update our web site, it was only natural we talked with Ash. He listened and worked with us to develop our ideas, using “Word Press”, which is user friendly and time efficient and at a reasonable cost. Throughout the process Ash provided advice and expertise and an ongoing technical support – when required, with his own design and creative input. This was the easiest process I have been involved in and look forward to a long and fruitful relationship. Another job well done, thank you. Ash originally developed a website for Dove Workshop, so when recently we decided to upgrade to something that we could amend ourselves, we asked him to advise us. Ash suggested that he could create a “Word Press” blog site for Dove Workshop which, whilst he manages the site overall, we would be able to amend details ourselves. We were given an easy to understand manual and are enjoying using the system, which is straightforward and simple. I have known Ash for many years and I continue to work with him because, put simply, he is an excellent website designer. He is exceptionally talented and he is also reliable, super efficient and easy to work with. I could not recommend him highly enough! 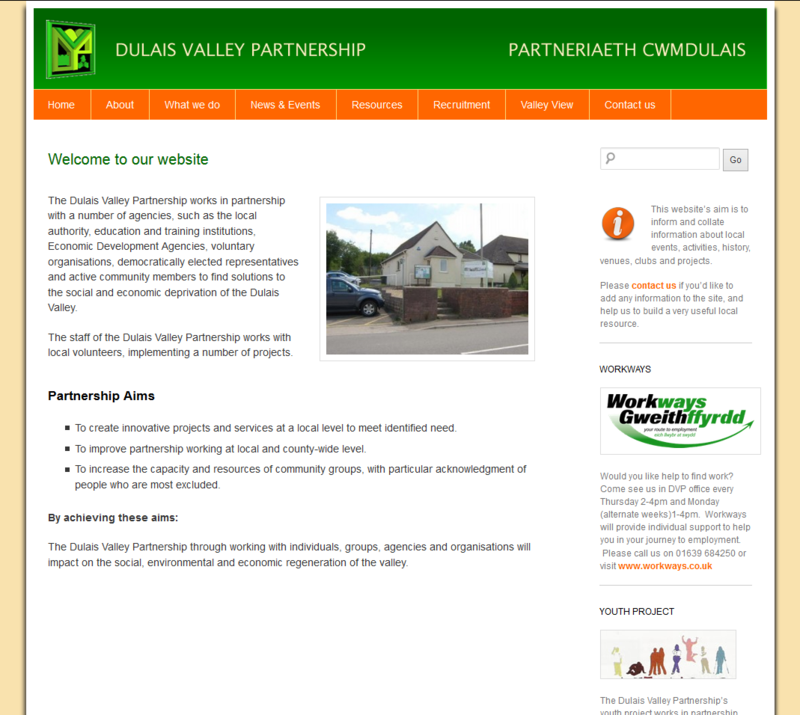 In 2008 the Dulais Valley Partnership began work on creating a Heritage Trail throughout the Dulais Valley. As part of this project I was employed as the Community Heritage Officer and tasked with producing a Heritage Trail website. I spoke to people and groups who had run similar projects. We wanted someone who was local, understood the area and what is was like to work with a community organisation. I had heard good things about Wired up Wales and had seen examples their work and liked what I saw. I worked alongside the Heritage Group and we wanted someone who would listen to the groups’ ideas (no matter how crazy some of them were) and produce something bright, colourful, fresh and exciting – which is exactly what we got. Working with Wired up Wales has been fantastic. Ash really understood our project and what we were trying to achieve. When the Heritage Group were stuck for ideas Ash made lots of useful suggestions and really helped to make the project the success it has become. The website went live today and it feels great to have it all finished. I am really happy with the layout, content and style of the website and would like to thank Ash for all his hard work on the project. It is very exciting to see everything come together after a very enjoyable 3 years! I would have no hesitation in recommending Wired up Wales to anyone looking to set up a website. Exceptional service and price. Fast, efficient and easy to work with. The full package. I would recommend WiredUp Wales unreservedly. My advice – don’t waste time looking elsewhere! Ash Whitney has been fantastic from the start to the end of our website development, communication was and still is excellent as Ash hosts our site as well as makes changes and updates for us when needed. Ash tailored the website to exactly what we had in mind and was very patient and friendly with our fussy changes we wished to make. Our website is better than what we had imagined and we are absolutely pleased with the results. Plus we have had several compliments on our website with the design and how easily it is to navigate. Very happy customers and would definitely recommend Ash to any business, large or small! It was a pleasure working with Ash to co-create my website. He works very quickly and efficiently with an eye for good design and clarity. He was patient when I kept revising the text and I am very pleased with the end result. I am recommending Wired Up Wales to anyone who is looking to set up a website. We were delighted with the web site for our Barmitzvah celebration and everything from start to finish went smoothly. The customer support was fantastic with Ash always available to make last minute changes very quickly. The site worked very well and we received numerous positive comments about it. The RSVP module worked a treat and made life so much easier for us and the overall presentation and function of the site was excellent. Very happy to recommend Ash, and he is our first port of call for our website needs. I have been running my own website for eight years, and had put off commissioning someone else to do it. Having decided to, I could have made no better choice than working with Ash Whitney. He has turned a messy, cluttered site in to a clean, logical and attractive site. It still feels as though it is “mine” but works properly and looks better. I need my website to represent my business properly, especially in the current financial climate. Investing the time money in having my website professionally designed and built was money well spent and I think I have got everything I could have hoped for and more. The level of service provided by Wired up Wales was impressive and I am happy to recommend them to anyone looking for quality web solutions. Wired up Wales were always responsive to my needs and understood what it was I wanted from my site. As an Assembly member the main thrust of the site is provide information to the people of Aberavon, and anyone who is interested in the area. Wired up Wales managed to get the information across without compromising the visual impact or the user friendliness of the site. Wired up Wales knowledge of software packages was impressive. Wired up Wales installed a package that allows me to update the site with press releases without the need for a web company, which is extremely important in my role as an AM as it gives me the flexibility I need. News is a perishable commodity so it is important that I can update the site day and night as required. The whole package, ethos and customer focus ethic combined with a friendly manner and competitive pricing make Wired up Wales a first class web design company that I have no hesitation in recommending. To the uninitiated, the prospect of setting up a website for the very first time can be intimidating. However, a single telephone call was sufficient to put my mind at rest. I discussed with Ash my requirements and he took care of everything else. Within a week, my website was up and running. It couldn’t have been simpler! Wired-up Wales provides a friendly, professional and prompt service at competitive rates. I thoroughly recommend the company to anyone in need of a website. We have worked with Ash of Wired Up Wales since we began publishing our fortnightly magazine. Ash designed and set up our website, updates it regularly at whatever antisocial hour we request, and has been wonderfully patient and flexible. Nothing has been too much trouble and additional features, such as a readers’ survey, were done super-efficiently. He is great to work with: you get exactly what you want, and more besides. We have been delighted with the service from Wired Up Wales. Support from Wired Up Wales is always excellent. The service is totally customised to our needs and the website updating response time is amazingly speedy. It is a real comfort to know that we have immediate access to good technical advice and support with our ongoing website management and development needs. Ash came well recommened by another SME, that recommendation was highly deserved. He built our website from scratch ensuring that it met our highly demanding specifications on accessibility and inclusion. Ash was incredibly patient and helpful both in building the site and in supporting me to learn to edit it using the simple package which he recommended. He was extremely professional, efficient and everything was delivered on time. We’d highly recommend Wired Up Wales to anyone looking for a highly professional, good value website building and hosting solution. Ash Whitney was strongly recommended to me by the editor of Drink and Drugs. I can honestly say that he exceeded my expectations at every stage of the project. Ash Whitney provides a reasonably priced, highly responsive and professional service. He understood the remit very well and added extra value in providing advice on how I could position and enhance my services. I would highly recommend him to anyone who wants to build a web presence. I have been very satisfied with the scoping, and execution of my web project which was delivered on time and to budget! Having had plenty of experience of web designers who are unable to commit to exacting standards, I believe Ash Whitney distinguishes himself as a leader in this market place. Wired up Wales have provided an excellent service to the Trust. Ash was able to transfer our needs into reality giving us the type of clean, professional, easy to use and informative web site that we required at a cost we could afford. Support is provided quickly and efficiently as and when it is required – I have no hesitation in recommending Wired up Wales. The service that ash whitney gave was both reliable and personal – he was able to accept and accommodate my uselessness with computers and he transformed whart was in my imagination into something tangible on the web.